You’ve done your research and decided to open a North Carolina ABLE account for yourself or your child. How will you open the account and how will you use it? Check out our overview of NC ABLE accounts, then read on for our advice about opening and using these accounts. How do I open an NC ABLE account? You can’t open an ABLE account by going to your bank or financial advisor. Instead, you must visit the NC ABLE website. There you can either open an account online or download the enrollment form to print and mail in. What information do I need to open an ABLE account? Information about the account owner (the disabled person) including name, address, date of birth, and Social Security number. Basic information about the account owner’s disability and eligibility for an ABLE account. If the account owner is over 18 and plans to use the checking account option, a state-issued ID must be provided. An authorized individual (parent, guardian, or agent under a power of attorney) who is opening the account on behalf of the account owner must also provide their personal information. Parents of disabled children can (and should) open the account on behalf of their child while the child is under age 18. You must provide proof of your authority to act, such as a power of attorney or guardianship letters from a court, if you are opening the account on behalf of an account owner who is over 18. The account owner may name an “authorized agent” who can receive information and transact on the account. The authorized agent’s personal information must be provided. What are the investment options with an ABLE account? Checking Account Option – Funds held under this option are transferred into a checking account managed by Fifth-Third Bank. The account owner can get a debit card and/or checkbook to use these funds. Target Risk Option – Funds held under this option are invested in a savings account and/or investment funds. The exact investment plan depends on the Investment Option(s) chosen by the account owner. There are six Investment Options: Aggressive, Moderately Aggressive, Growth, Moderate, Moderately Conservative, and Conservative. How do I pick an investment strategy if I choose the Target Risk Option? When you open an ABLE account, you will receive packet of Plan Disclosure Documents which provide details about the Investment Options available to you for funds allocated to the Target Risk Option. You may choose to allocate your money over multiple Investment Options, but you must contribute a minimum of 1% of account assets to each Investment Option you select. If you are not an experienced investor, you may wish to review the Investment Options with a financial advisor to figure out the best strategy for your situation. 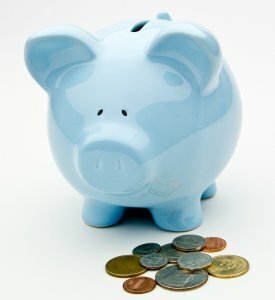 Are there any fees associated with an ABLE account? There is an annual fee based on the Investment Option(s) chosen and the amount of money in the account. There is also a $15 quarterly maintenance fee. The Plan Disclosure Documents detail additional fees for things such as returned checks and outgoing wires. How do I make contributions to an ABLE account? Any person or legal entity may contribute to the account. The minimum contribution is $25. The annual contributions to your account cannot exceed the Annual Contribution Limit, which is currently $14,000. Contributions can be made by check, payroll direct deposit, or electronic funds transfers. This is information, not legal advice. We are offering some general information on a topic that may be of interest. This is not legal advice. Your circumstances will be different from anyone else’s. If you have questions about ABLE accounts, please call our office and make an appointment for a consultation. We will be very happy to work with you.